Local anesthesia, or, more correctly, local anesthesia is an artificially - induced inhibition of pain sensitivity in limited areas of the body, with preservation of consciousness. Local anesthesia is typically used for minor surgical interventions and diagnostic studies. The range of medical interventions that are performed under local anesthesia, wide enough is the treatment or removal of teeth, lancing boils, bruises, surgery on the nose and throat, eye surgery, urography, gastroscopy, sensing, gynecological surgery. In addition, for the elderly and patients with certain diseases local anesthesia is the only method of anesthesia. Terminal (surface) anesthesia - receptor blockade. This is the most simple method, it is used in ophthalmology, in dentistry, to perform endoscopic examinations of the gastrointestinal tract. 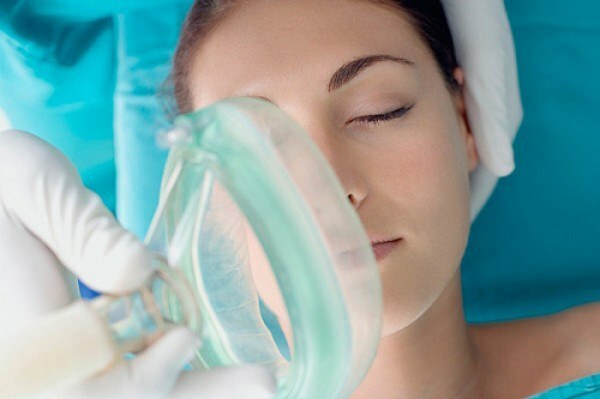 Surface anesthesia is applied anesthetics to mucous membranes or skin. Infiltration anesthesia is the blockade of small nerves and receptors. This method is used for small non-traumatic operations. The drug is administered in the soft tissue in the area of surgical intervention, resulting in a blocked conduction of nerve impulses. Conduction (regional) anesthesia is the blockade of nerves and nerve plexus. 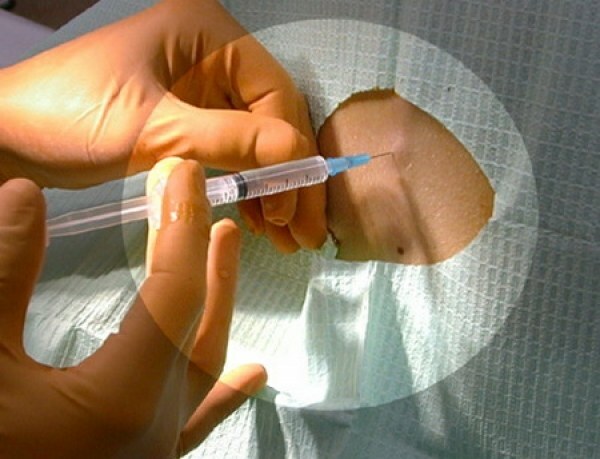 In this method, anesthetic is injected close to a nerve ganglion, or peripheral nerve trunk in the area of the forthcoming operation. To regional anaesthesia are spinal (spinal) and epidural. Spinal anesthesia is based on the introduction of the drug into the subarachnoid space of the spinal cord. Due to this temporarily lost sensitivity of organs located below the place of injection. This anesthesia is used during surgical interventions on the stomach, bowels, liver, spleen, pelvic organs and lower extremities. When epidural anesthetics are administered through a special catheter in the epidural space of the spine. This anesthesia is used when analgesia of the chest, abdomen, legs and groin, often used in childbirth. Advantages of epidural anesthesia are the use of small doses of drugs and rare side effects. The main contraindications of mental disorders patient intolerance to local anesthetics, tissue damage, interfere with infiltration anesthesia, internal bleeding. Have epidural and spinal anesthesia is a list of limitations longer is low blood pressure, poor blood clotting, severe spinal deformity, inflammation at the place of intended puncture, cardiac arrhythmias, Central nervous system. Complications from local anesthesia are extremely rare. Possible agitation, dizziness, hand tremors, allergic reactions, weakness, sweating, bradycardia, decrease of arterial pressure. To avoid complications, helps to elucidate the tolerability of drugs in a preliminary conversation with the patient, and careful observance of technology of anesthesia and dosages of anesthetics.